The future is now! 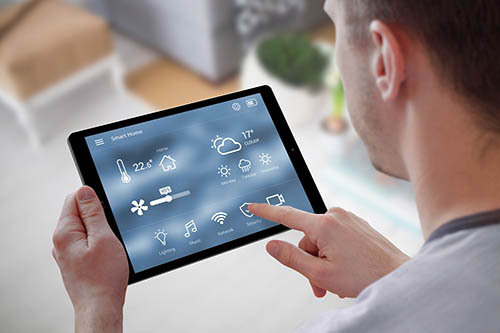 You may know that there are already many smart (Internet-connected) appliances and items that you can use to update your home for the connected age. But for your reading pleasure, here are five of them already on the market. One of the first smart home upgrades to make it big on the market is the smart thermostat, specifically the Nest Learning Thermostat. Connected to your heating system, and to your phone through Wi-Fi, this device ‘learns’ your energy use habits so it can adjust to them. It saves you money by tailoring its output to your usage, which means it is kinder on the planet as well. Smart tech for the win-win. In the same vein is the smart smoke and carbon monoxide detector technology. These alarm systems assess the danger and speak to you. They report on multiple details, including what kind of danger you’re facing (fire or carbon monoxide poisoning), where it is exactly in your home, and whether it constitutes an immediate risk to you. A-ha! The intelligence continues. There are smart light bulbs now like the Philips’ Hue Connected Bulb which speak through your Wi-Fi. This light can be controlled remotely through your phone or computer, where you can change its color and adjust the brightness without ever touching the bulb itself. You know those moments you need to yourself, when you step out of your baby’s room to let them sleep? Well, there’s now a device to help keep track of them even then. The Mimo Baby Shirt is a smart onesie. Its organic cotton is woven with sensors that monitor elements like your child’s temperature or sleep pattern and streams that info to your device through your home’s Wi-Fi. It can be fitted with a microphone, again linked to your phone and it’s machine-washable! Last but not least, there’s the HapiFork. This smart utensil monitors your eating habits how fast you’re eating, the time between meals, how many bites it takes to finish the meal. These tidbits can be uploaded to your laptop or phone, and can help you track and change how you eat. As technology continues to progress, our homes are becoming smarter and smarter. Keep up with the tech by staying abreast of new developments starting with these five. Oh, and one last smart thing? Reaching out to your local real estate agent for more information, recommendations or just to chat about the future. Most people have a good idea of the neighborhood they want to purchase a new home in. The problem is finding a great deal in the area, especially if it’s a neighborhood that’s very popular. Thinking outside the box and avoiding the standard real estate listings can result in some bargain properties for sale that most people are completely unaware of. When the housing market boomed, many people tried to take advantage by investing in a second home that they couldn’t necessarily afford. This resulted in a huge market full of homes that were foreclosed on when mortgage payments could no longer be made. This happens frequently whenever the housing market goes through a strong period and these houses and condos are owned by the bank and can be purchased at a great price. FSBO properties, homes that are being sold privately by the owner, are one of the best bets to find a great bargain. These homeowners have made the decision to try and sell their home without the use of a real estate agent in an attempt to save some money on the sale. Local real estate agents will be aware of any homes in their neighborhood that are being sold privately and will be able to point you in the right direction. FSBO homes have the best chance of getting a good deal because offers can be made directly to the owner and the earliest offer may just be the most lucrative for them. Anybody who knows the area they want to invest in can be proactive and beat the market by simply taking a drive up and down the streets and looking at houses. Some owners haven’t taken the time to bother listing a home that they would love to get rid of. These are either rental properties or family homes that have been willed and left neglected. They can be easily identified by the care that’s been given to the property. An overgrown lawn and overflowing mailbox is a sure sign the owner may be interested in a talk about selling. After all, there’s nothing to lose. Staying away from real estate listings to find a home can be tough. Thankfully, most local real estate agents will be tracking these houses so they can help their clients think outside the box. Contact your trusted real estate professional in your area for a better idea of how to make offers on these bargain properties. A mortgage broker can be a helpful tool in finding the right opportunity for you, but it can be tempting to deal with mortgage apps that may be able to consolidate all the information you need in one place. 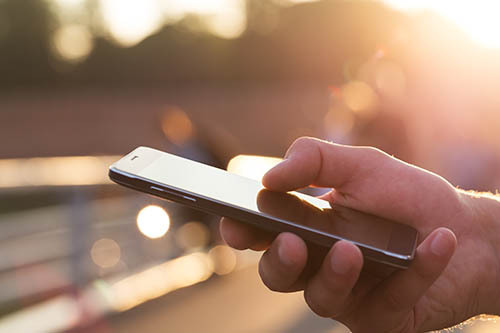 While many modern apps can be quite convenient, there are a few reasons you may want to use a knowledgeable mortgage professional to ensure the credibility of your most important purchase. A mortgage app can certainly provide many mortgage insights, but it’s not necessarily an able replacement for a broker who has dealt with many different lenders and knows the ins and outs. While an app can point you in the right direction, a broker will be able to keep you informed of all the little details. There are no guarantees that working with a broker will get you a better deal, but because brokers work in conjunction with a variety of different lenders, they can often get lower rates or special deals which you may not be able to find on your own. In addition to assisting you with finding the best rates, a broker may also be able to minimize fees like the application and/or appraisal fees so that you can knock some of the costs off your mortgage. Since brokers have an established relationship with lenders, this is something you can use to your advantage. It can be overwhelming to go through all of the available lenders, and even a detailed app may not be able to provide this information. However, instead of the most popular current options, a mortgage broker will have lending information available from all kinds of institutions so you can choose what will work best. An app may seem like a time-saver with all the information at your fingertips, but having a broker to look through things for you can provide a lot of comfort and clarity. While you do have the option of diving in on your own, having an expert to help you over the hurdles can go a long way. There are so many apps out there that can make life a lot easier, but mortgage apps may not be the place to start when it comes to your mortgage process. If you’re currently considering your options, contact your trusted real estate professional for more information. There are untold benefits to reusing old household items instead of tossing them. Not only are you reducing your ecological footprint, but you can also save lots of money by recycling what you’ve already bought. Read on for some common items that are easily repurposed. Go for plastic milk jugs instead of cartons and easily repurpose them as, for example, watering cans. Simply, and carefully, use a nail and a hammer to poke several holes in the lid. Go for the 2-litre jugs if you only have one or two indoor plants, and the 4-litre if you have more. 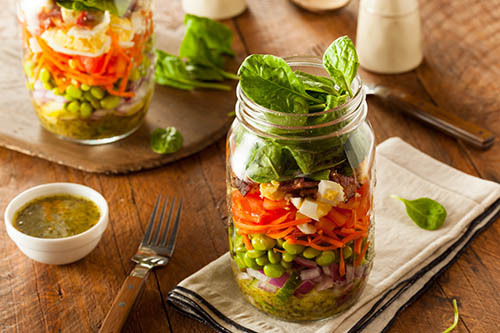 Mason Jars, Beer Bottles And Applesauce, Oh My! Glass containers are brilliant as storage, in the kitchen or elsewhere why not use a jar as a toothbrush or writing utensil holder? Beer bottles or other narrow-necked containers become flower vases. Jars with tight screw lids and a narrowing neck, like applesauce jars, can become a travel-sized water or juice bottle. And all of these containers can be covered in fabric or paint, to make them functional and beautiful. So your dresser broke? That’s okay. Drawers never go out of style. Use old ones as under-the-bed storage, or stack and secure them with the bottom against the wall for a DIY shelving unit. You can also fill them with soil and use them as planters in your garden or yard. Clothing is one of the most ubiquitous household items which is perfect, because it’s also one of the most versatile. Cut up an old dress or collared shirt and, with a quick run through the sewing machine, you have a new baby dress or bib. If you use a scarf to wrap a present (for more info, look at “furoshiki” techniques), you’re giving an extra gift to your friend, and the planet. Next time you’re travelling, finish up the floss first and use the container to store cash. This recycles the container and it disguises the money in case of burglars. And if you break a dish, don’t worry you can smooth the edges of the broken pieces and use them as mosaic tiles, or a garden border, or jewelry. It’s simple. To start saving money, and the planet, use these easy ideas, or reach out to your local real estate agent for more tips and tricks on how to reuse old household items in funky, handy ways. It can be a bit of a surprise if your home turns out to be valued at less than the purchase price offered, but this is the type of thing that can occur in an appraisal situation. 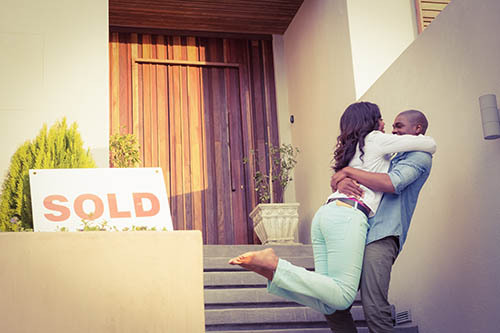 While this can change everything from your contract to the amount of your down payment if your home has been appraised at less than you envisioned, here are some options you may want to consider. It can be quite disappointing if your home is appraised at a value that is less than the offer you’ve received, but this doesn’t necessarily mean that you’ll have to put your home back on the market. Whether you and the potential buyer decide to re-negotiate or get a second opinion, there are options that can be beneficial for both parties. 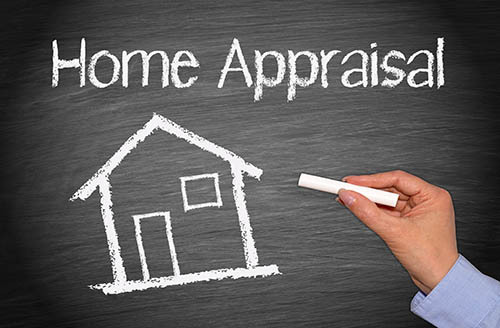 If you’re currently going through the appraisal process, you may want to contact your local real estate professional for more information. According to the National Association of Home Builders, overall builder confidence in housing markets dropped two points in October to an index reading of 63. September’s reading of 65 was the highest posted since the housing bubble peak. Component readings for October’s housing market index were mixed; the reading for builder confidence in market conditions over the next six months rose one point to 72. Builder confidence in current housing market conditions fell two points to 69. Builder outlook for buyer traffic in new home developments over the next six months fell by one point to an index reading of 46. Approaching winter weather likely contributed to lower readings, but builder confidence remained strong. Any reading above 50 signifies that more builders are confident about specific index components than fewer. While home builders continue to be encouraged by low mortgage rates and a stronger job market, they also face obstacles including shortages of labor and buildable lots for development. 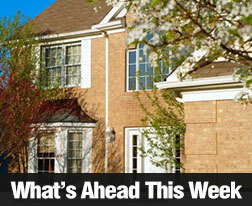 High demand for homes coupled with depleted inventory of available homes is sidelining some buyers. As demand continues to drive home prices higher first-time and moderate income buyers are faced with affordability and mortgage qualification challenges. Limited inventory also makes it difficult for home buyers to find homes they want and contributes to competition for available homes. 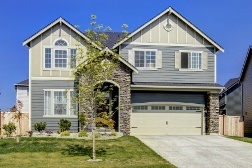 Buyers depending on mortgage financing typically compete with investors and cash buyers for homes in high demand areas. Real estate pros and analysts monitor home builder sentiment as an indicator of future home supplies, but builder sentiment and housing starts don’t necessarily correspond. 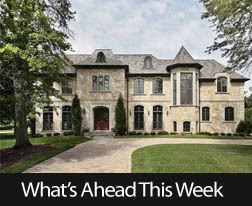 Given high home prices and strict mortgage qualification standards that sideline some buyers, it appears that home builders are taking a moderate stance toward ramping up construction. In addition to boosting real estate markets, building homes provides jobs and supports local economies. Building homes creates demand for construction materials and related products and services. It’s often the case that people will opt to postpone home ownership until the best rates are available or it’s a more stable investment, but in an ever-shifting market it may not be the best decision to put such a sizeable investment off. If you’re wondering whether or not you should put off investing in a home, here are some reasons you may want to start putting your time into searching for a home. While interest rates are constantly changing and have certainly risen since the economic recession of 2008, they still remain relatively low and this can make investing in a home an even better financial decision. There are no certainties that market rates will remain low, but given a lower monthly payment and the easier qualifications nowadays to acquire a loan, the present may be the best time to start investing in your own place. It’s easy enough to wait for a lower home price or even improved interest rates, but there is no guarantee that the market will shift down. In the meantime, you may be spending at lot of your monthly paychecks on rent. If home ownership is one of your goals in life and you’re living month to month with a high rental payment, investing money into a home is a sure way to gaining equity for the future, even in the event that the market shifts up. When it comes to the market, there may always be a time coming when you’ll get a better deal, but the fact remains that homes tend to remain on the market a lot longer these days and it’s largely a buyer’s market. There are no guarantees that you’ll be able to find the house you want at the price you can afford, but there are a lot of good deals to be found these days and investing sooner is an opportunity to reap financial rewards down the road. 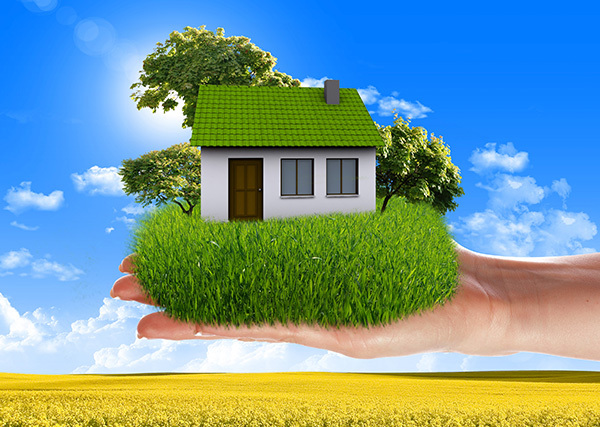 Many people hold off on home ownership because they are waiting for prices to come down or interest rates to change, but the sooner you invest in a home, the more you can benefit from investing into something that is entirely your own. If you’re currently perusing the market for a home at a price you can afford, contact your local real esatate professional for more information.